The picture is becoming clearer regarding Robert Griffin III. The Washington Redskins’ rookie quarterback underwent surgery yesterday to treat a torn ACL and LCL. Given the fact that he needed repair of his LCL, and that it is a second ACL reconstruction (revision ACL operations generally have lower success rates and often longer recoveries for athletes), fan concern that RGIII might miss the 2013 season is at least warranted. The most hotly contested aspect of his injury Sunday centers around whether he should have been on the field in the first place. Earlier Sunday, USA Today’s Robert Klemko reported that Redskins’ team physician Dr. James Andrews said that he never cleared RGIII to play after his initial injury December 9. After seemingly conflicting reports from coach Mike Shanahan and a later clarification by Dr. Andrews, it appears that Griffin never had athletic trainers or team doctors check his knee before he ran back on the field. Griffin could not play effectively, and the team quickly took him out. A later MRI reportedly showed only a grade I sprain of his lateral collateral ligament. After missing the next game against the Cleveland Browns, he returned in a knee brace to play the final two regular-season games. While he was on the field, it was evident to most fans that he lacked his usual ability to run and change directions. It was expected that he would continue to improve each week and hopefully be near 100% on Sunday for the team’s first home playoff appearance in 13 years. Fast forward to the first quarter Sunday. Late in their second touchdown drive, RGIII landed awkwardly and was in obvious pain. After the touchdown that put the Redskins up 14-0, Griffin went to the training room to be examined by the medical staff. He returned to play but clearly appeared to be limited. Thousands of fans in attendance and millions watching on television saw his knee buckle horrifically as he tried to change directions running down a bad snap in the fourth quarter. The question that fans and media have been asking since Sunday was whether RGIII should have been allowed to play or whether coaches or doctors should have held him out after that first injury. Obviously I wasn’t in the training room Sunday, so I cannot offer an opinion specifically in this case. There is no indication that Griffin played against medical advice or that doctors let him play despite a serious injury. I am not judging the decision to let RGIII play. 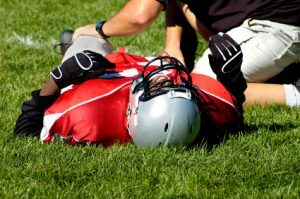 In general, though, there are two basic questions a team physician has to answer to decide whether to allow any player back into a game after an injury. One, is the player likely to make the injury worse by returning to the game? Two, can the player effectively do his or her job on the field? While each injury is different, the decision-making process itself is that simple. 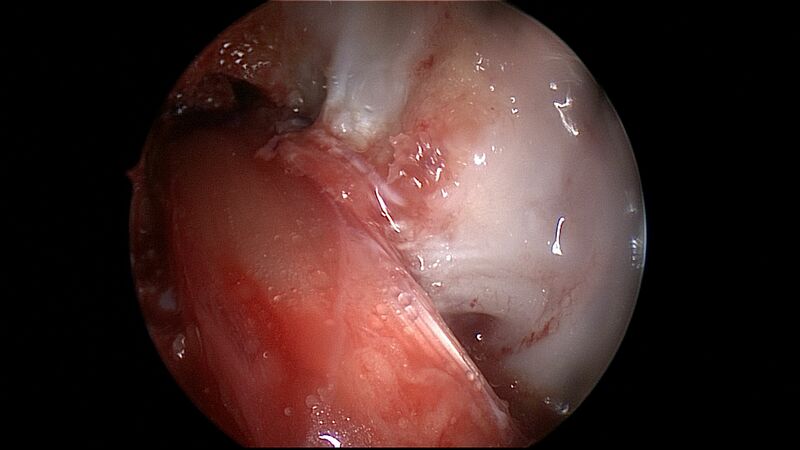 For example, if an athlete tears her ACL in a soccer game but wants to keep playing, the doctor should remove her. Her knee will likely give way when she tries to change directions or land from a jump. If her knee buckles, she risks further injury, such as damage to a meniscus, articular cartilage, or another ligament. Likewise, if an athlete has a mild shoulder separation, he probably won’t make it worse by going back in. But if he is a free safety who can’t lift his arm to make a tackle because of pain, he isn’t helping himself or his team. In both cases, the team doctor would decide to hold the player out. However, if the athlete has an injury where he does not risk further harm to himself and he can do his job on the field, then we usually let him try to play, watching closely for signs of trouble. It is this heart and determination, on top of their athletic ability, that makes fans enjoy watching these elite athletes compete. And that determination to return from injury and rehab from surgery makes them a joy to treat as orthopaedic surgeons. As team doctors, though, we have to make sure that athletes who fight to play through injuries aren’t hurting themselves in the process. Note: This post appears in a modified format as my sports medicine column in the January 10, 2013 issue of The Post and Courier.